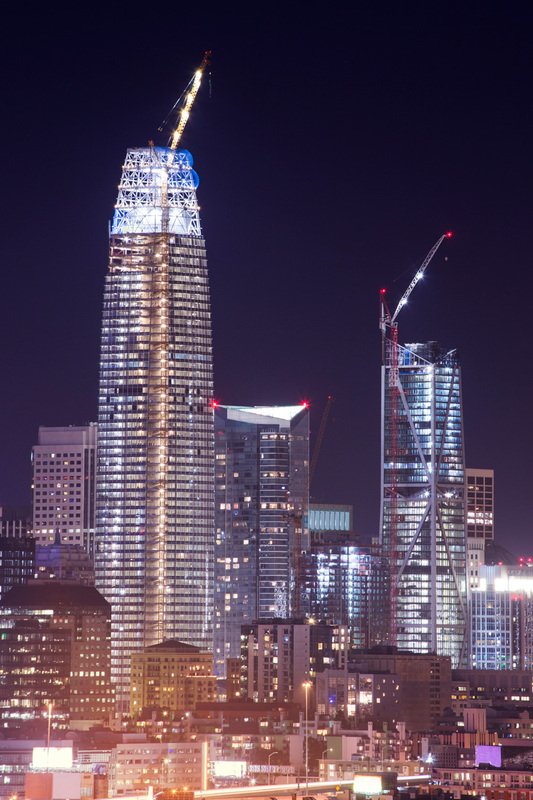 During its construction, the Salesforce Tower, currently the tallest building in San Francisco, required an evaluation of the curtain wall design so that a perimeter fire-containment system could be installed. The unique design meant that there were some variances in the project, including a curved curtain wall, a wider-than-standard spandrel opening, and radius details at the corner of the building. While even one of these variances would require an expert technical evaluation, the combination meant that this project was exceptionally challenging. As is noted throughout this article, a firestop system—or a perimeter fire-containment system—serves as the first line of defense in the event of a fire by containing the fire to the room of origin. With a project as complex as the Salesforce Tower, the architect is responsible for designing and specifying the system, and then a firestop contractor will properly install it, ensuring that it complies with the relevant building and fire codes. This is most definitely not a one-person job. The building itself, which opened in January of this year, consists of 61 floors and 1.4 million square feet. The curved curtain wall design helps it stand out in the San Francisco skyline. It should go without saying that fire protection would be a top priority in a new high-profile building such as this, especially in the seismically active San Francisco. And yet, the unique design features meant that a perimeter fire-containment system would require a true team effort from everyone involved in the project in order to make sure that the system was appropriate. Architects, designers, contractors, firestop installers—and manufacturers and inspectors—all needed to be consulted on the project. The manufacturer of the perimeter fire-containment system played a critical role in providing the EJs, drawing on decades of test data from its own tests as well as third-party data. As per standard practice, it confirmed its evaluation by running a parallel engineering analysis through a third-party engineering firm. This team effort meant that the designers could be confidant that perimeter fire-containment details and project variances had been reviewed by several independent parties and that the findings were well documented. More importantly, the collaborative work helped reduce any concerns about liability as well as the building design. When firestop contractors work closely with the manufacturer, they get the important benefit of working with people who perform the tests and can then provide the detailed technical support throughout the entire construction process. At no time is a firestop contractor left without support, and for critical aspects of the design, it has access to EJs that can provide guidance. As high-rise design and development become increasingly complex with curtain walls being a standard feature, architects, building professionals, and fire-prevention specialists are paying closer attention to ensure the safety of building occupants in the event of a fire. A balanced fire-protection system that detects, actively suppresses (e.g., with sprinklers), and compartmentalizes a fire is absolutely critical to the safety of building occupants. Given the diversity of building and curtain wall designs, the passive element of this system—perimeter fire containment—is often project specific. It can take a team effort to ensure that the firestop system is appropriate. 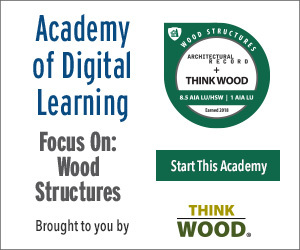 Architects and building professionals can benefit from working closely with the technical specialists who are authorized to issue EJs, whether they are from a testing laboratory, third-party engineering firm, or firestop manufacturer. The key is to ensure that the judgment is of high quality and appropriate for the specific project considerations. Issuing organizations should have extensive fire-testing experience, highly trained individuals, and deep knowledge of how the components work together. All the major players of a project team from the architects and specifiers to the contractors, installers, and inspectors should be on the same page when it comes to designing and installing perimeter fire-containment systems. 1“Grenfell Tower: What happened.” BBC News. 18 June 2018. Web. 7 Nov. 2018. 3Owens Corning. “Steel Stud Perimeter Fire Containment System – ASTM E2307.” Enclosure Solutions: Technical Bulletin SS-04. May 2016. Web. 7 Nov. 2018. 4James C. Shriver. “High-rise perimeter protection systems reviewed.” Web. 7 Nov. 2018. 5Tony Crimi. “Perimeter Fire Barrier Systems: Taking a team approach to fire-safe construction.” The Construction Specifier. September 2017. Web. 7 Nov. 2018. 7Owens Corning. “Aluminum-Framed Curtain Wall Perimeter Fire-Containment System: ASTM E2307.” Enclosure Solutions: Technical Bulletin CW-01. Web. 7 Nov. 2018. 8“Recommended IFC Guidelines for Evaluating Firestop Systems in Engineering Judgments (EJs).” International Firestop Council.